← If a baby is old enough to ask for it, he’s too old to be breastfeeding!! 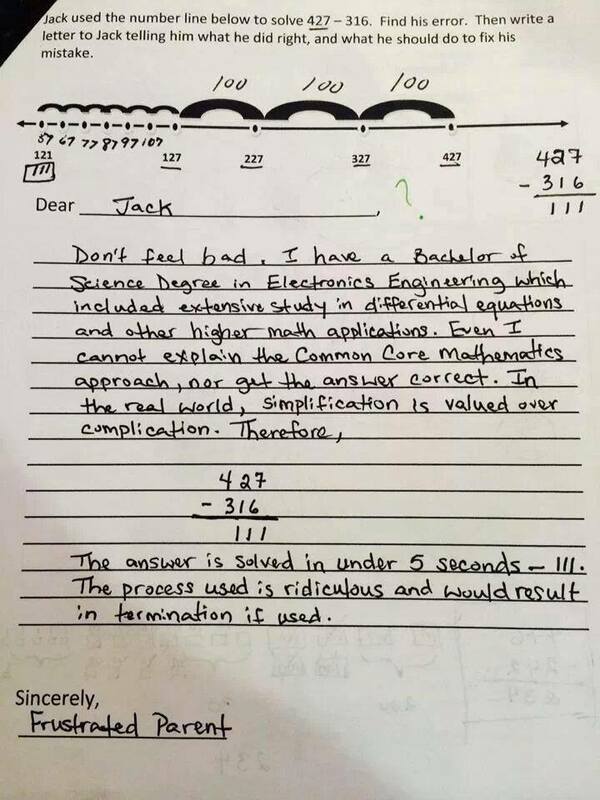 This entry was posted in education/enrichment/career and tagged common core, critical thinking, elementary education, math education, subtraction. Bookmark the permalink. Every complaint about the Common Core math I’ve seen is similar — there’s an exercise designed to get kids to play with numbers, and some parent doesn’t understand it. It’s a view of just how bad most people are at playing with numbers, which contributes to their general feeling they’re bad at math, which is largely untrue.